Industrial hose, in general, is capable of many uses. They convey air, steam, water, chemicals and an almost unlimited assortment of other products from A to B. Sometimes transported substances move under great pressure and travel great distances. When industrial hose and couplings are properly specified for the task, these assemblies perform their function flawlessly. However the potential hazards of hose assemblies are very real. When we try to get them to do things they were never designed to do, such as running steam through a chemical hose or using cam and groove couplings for air, they fail miserably with sometimes catastrophic results. 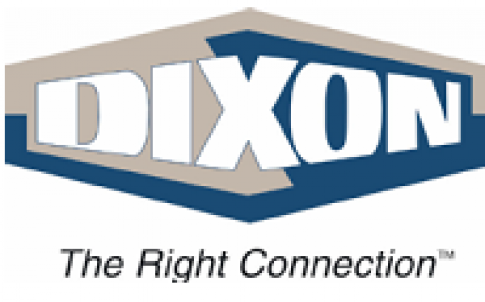 To avoid potential harm to personnel, site and equipment; and to prevent product loss, Dixon stresses the importance of inspecting all hose assemblies prior to each use. Hose failures, damaged end fittings and correct hose specification are just a few of the factors an onsite maintenance engineer might have to address on a day to day basis. Whether it’s the correct hose required or the right type of coupling for the application, it is often a minefield when it comes to finding a solutions provider with the correct experience you can trust. With a hose range which covers a broad spectrum of application and a team of experienced and technical sales personnel, Dixon can offer you a complete service advising on the most appropriate solutions for your application. 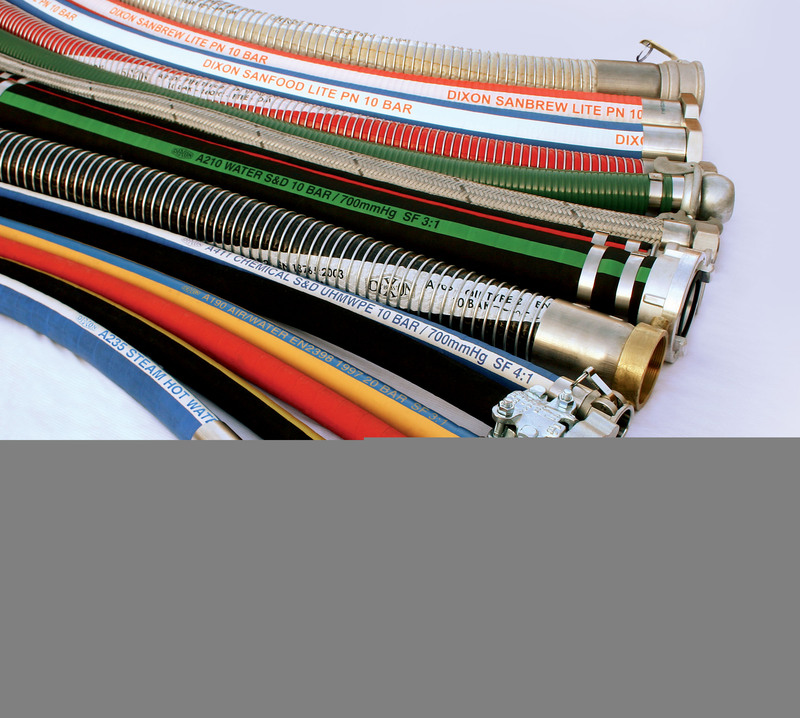 The Dixon range of loose hose and hose assemblies is inclusive of composite, rubber, metallic, PTFE, food & beverage, large bore, anti-static and spiral PVC and is complementary to their long established couplings sales. Dixon Group Europe are one of a handful of companies certified to the Pressure Equipment Directive 2014/68/EU to manufacture flexible hose assemblies. With manufacturing and engineering facilities approved by BSI and which comply with the requirements of ISO 9001 Dixon can design and produce individual customised products to find solutions to customer’s fluid & air handling problems. Dixon are acutely aware of the need for products to be consistently reliable and rigid enough to withstand the challenges of today’s tough environmental world. 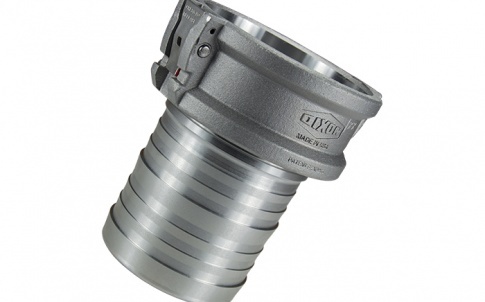 To this end Dixon are strongly committed to providing ‘the right connection’ in service, support and advice to ensure correct specification of their fully tested range of bespoke hose assemblies and couplings. Dixon Group Europe Ltd is a leading manufacturer and supplier of hose, valves and coupling products for use across a wide range of industries. 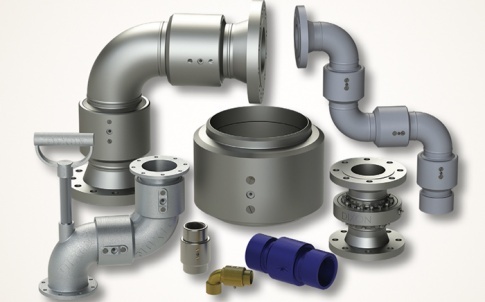 Provider of hoses, valves and couplings for all industries. 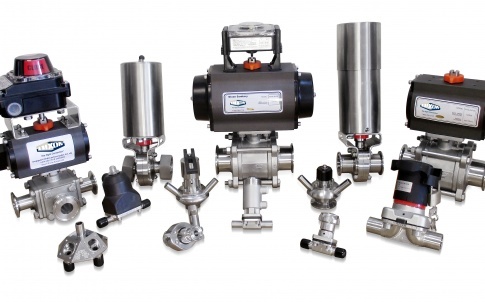 Dixon’s onsite manufacturing and engineering department enables the design and production of individual customised products to find solutions to customer’s fluid system applications. 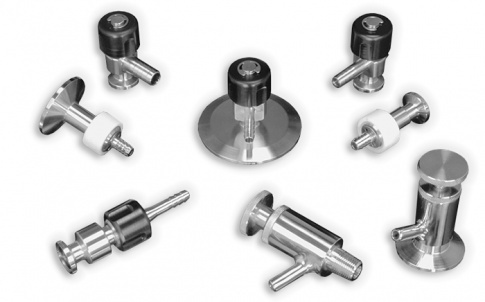 The manufacturing facility is approved by BSI and fully complies with the requirements of both ISO 9001 and the Pressure Equipment Directive (EC/97/23).